This is such a lovely outdoor activity and craft to do with kids. 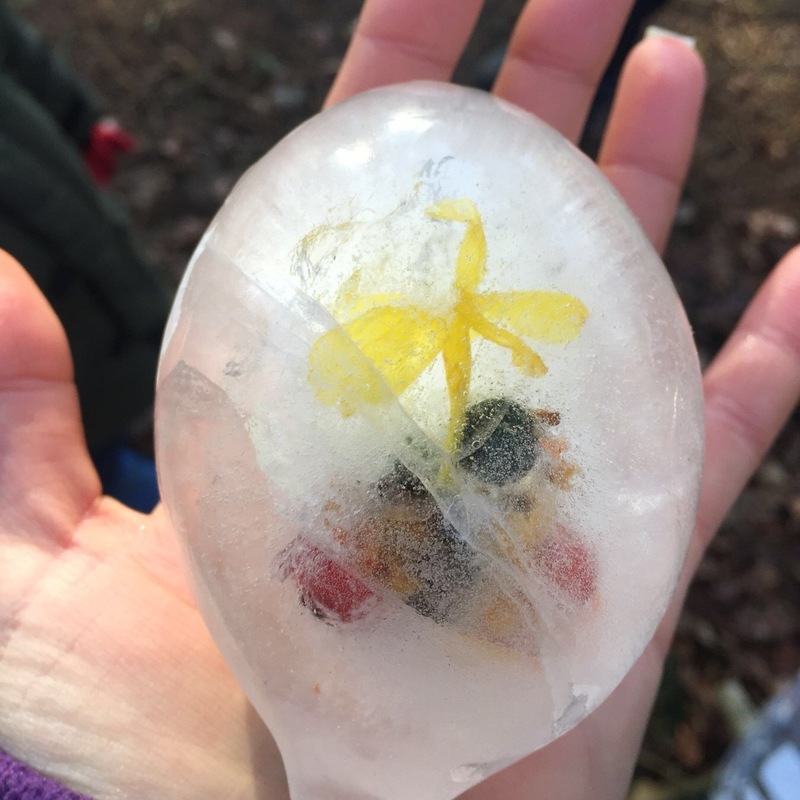 I did this with my Forest School club a few weeks ago and they loved finding all the treasures, getting a bit wet filling the balloons and then opening them to see how magical they looked once frozen. I also loved seeing them melt as they made such great shapes. 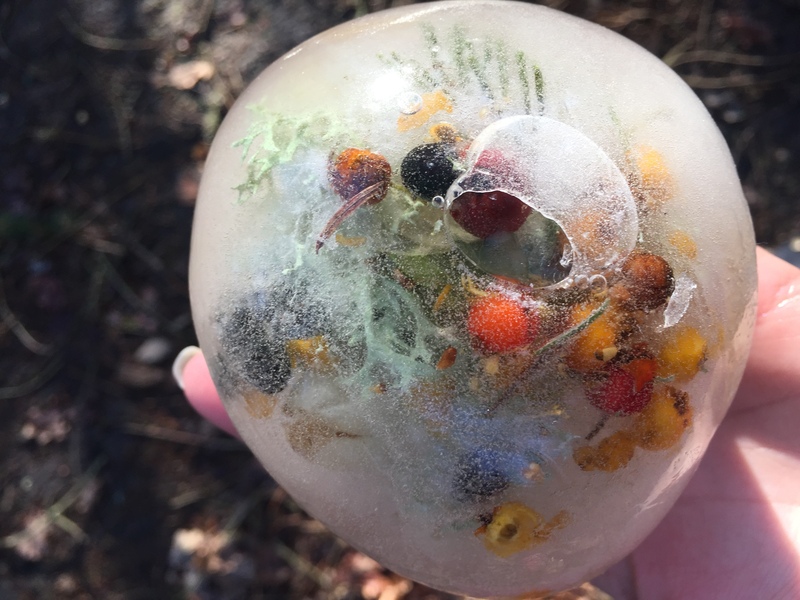 Simple get the children looking for the nature treasure while in the garden or out on a walk and then pop them into a balloon. you might need to hold the end open for them if they have bigger treasures. Then when you can fill the balloon with water so it’s about the size of a grapefruit and pop a knot in the end. If you’re in a cold snap now pop the balloon outside over night to freeze or pop it in your freeze. The next day cut the knot off and peel the balloon way to uncover a dazzling ice ball filled with colour. One we blew up a balloon then Miss Onstad placed her mouth on it while a child placed their hand on it to feel the vibrations. Our next balloon science was with a bottle that we put yeast and sugar inside, then the balloon on top and watched the balloon inflate by itself. We let it sit over night and observed what happened to the balloon the next day. These both sound like great balloon experiments!